The World Health Organization (WHO) is recommending that farmers and the food industry stop using antibiotics routinely to promote growth and prevent disease in healthy animals. 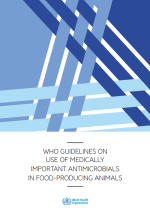 The new WHO recommendations aim to help preserve the effectiveness of antibiotics that are important for human medicine by reducing their unnecessary use in animals. In some countries, approximately 80% of total consumption of medically important antibiotics is in the animal sector, largely for growth promotion in healthy animals. 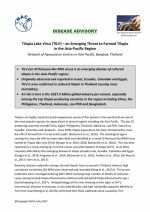 Tilapia lake virus (TiLV) is an emerging infectious agent that has recently been identified on three continents. 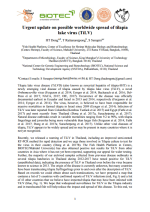 While the link between TiLV and disease outbreaks in Israel and Thailand are well documented, further investigations are being undertaken to determine the significance of TiLV in the other countries. This report summarises the available scientific information on TiLV, including clinical signs, diagnostics and epidemiology. Infection with TiLV in tilapia populations may result in socio economic losses and impacts on food security. 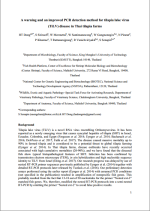 Tilapia lake virus is a newly emerging virus that is associated with significant mortalities in farmed tilapia. 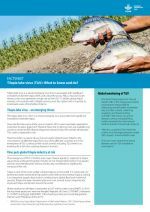 This fact sheet describes the threat to industry, clinical signs, diagnosis, risk factors, prevention and control options and actions that must be taken to minimise the impact of this disease on the global tilapia aquaculture industry. All countries with a tilapia industry must be vigilant and act quickly to investigate cases of mortalities in farms. 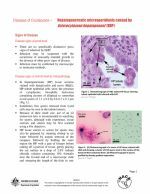 Recently, we released a warning of TiLV in Thailand and an improved RT-PCR detection methodology. The Fish Health Platform in Centex, BIOTEC/Mahidol University has also obtained positive test results for TiLV in other Asian countries where it has not yet been reported. Many countries have been translocating tilapia fry/fingerlings prior to and even after the description of TiLV. We have prepared a map listing countries with confirmed reports of TiLV infections and 43 other countries that we believe have imported infected fish. 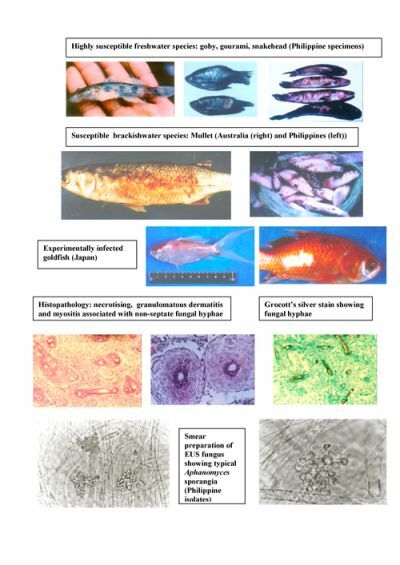 This disease card published by the World Organisation for Animal Health (OIE) provides information about tilapia lake virus (TiLV), a recently observed pathogen causing significant mortalities in cultured tilapia. 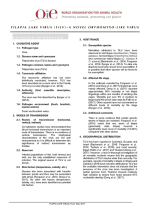 The disease card provides details of the pathogen, modes of transmission, host range, geographical distribution, clinical signs, diagnostic methods, socio-economic significance, transmission risk and a list of available references. We urge laboratories to test for TiLV when abnormal tilapia mortalities occur. 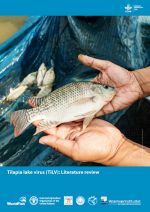 Tilapia lake virus (TiLV) is an emerging disease of cultured tilapia in the Asia-Pacific region. Originally observed and reported in Israel, Ecuador, Colombia and Egypt, TiLV is now confirmed in cultured tilapia in Thailand causing mass mortalities. 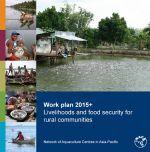 At risk is here is the US$7.5 billion global industry per annum, especially among the top tilapia-producing countries in the region including China, the Philippines, Thailand, Indonesia, Lao PDR and Bangladesh. 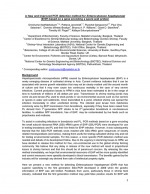 This advisory describes signs of the disease and PCR detection methods. This disease card describes the diagnosis and range of a microsporidian shrimp pathogen, Enterocytozoon hepatopenaei (EHP), first discovered in Penaeus monodon in Thailand in 2004. It infects only the tubule epithelial cells of the hepatopancreatic tissue of shrimp. EHP was later found to also infect P. vannamei cultivated in Thailand and is suspected to have been reported from P. japonicus in Australia in 2001. EHP has been reported from Vietnam and is associated with white faeces syndrome. 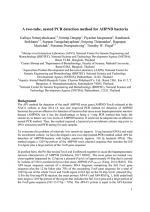 A new method for the detection of AHPND-bacteria (AP4) has been published and is available for download. The advantage of the AP4 method over the previously published AP3 method is that it has 100 times higher sensitivity. Because of its higher sensitivity, the bacterial culture enrichment step needed when using the AP3 with low levels of AHPND bacteria may be omitted. However, the AP4 method should not be considered as a replacement for AP3.